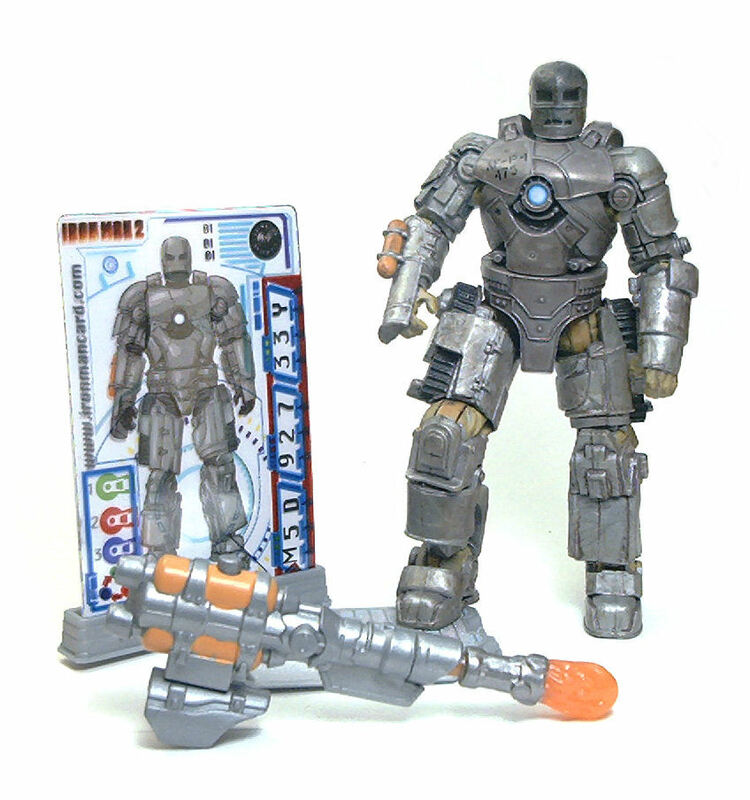 Among the figures Hasbro released as part of the first series of figures in the Iron Man 2 toy line is the Iron Man Mk.1. 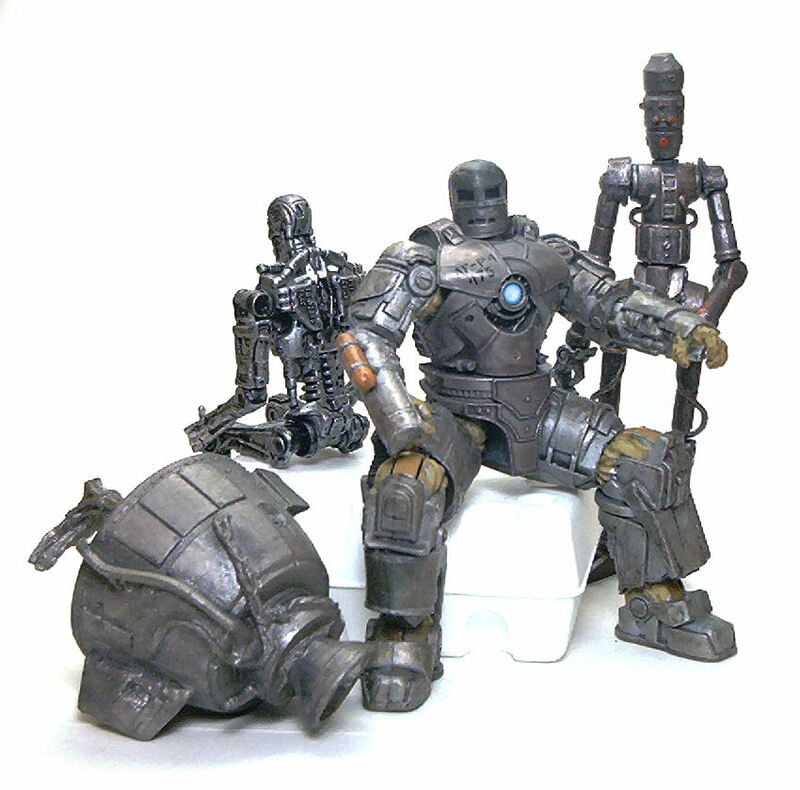 This particular figure depicts the very first powered armor made by Tony Stark in the 2008 Iron Man movie. The Iron Man Mk.1 armor every bit as massive as required to pretend it fits a regular 1/18 scale human inside of it, which is something the more modern versions of the suit don’t really achieve. One thing that immediately struck me about this figure is the level of sculpted detail in it. 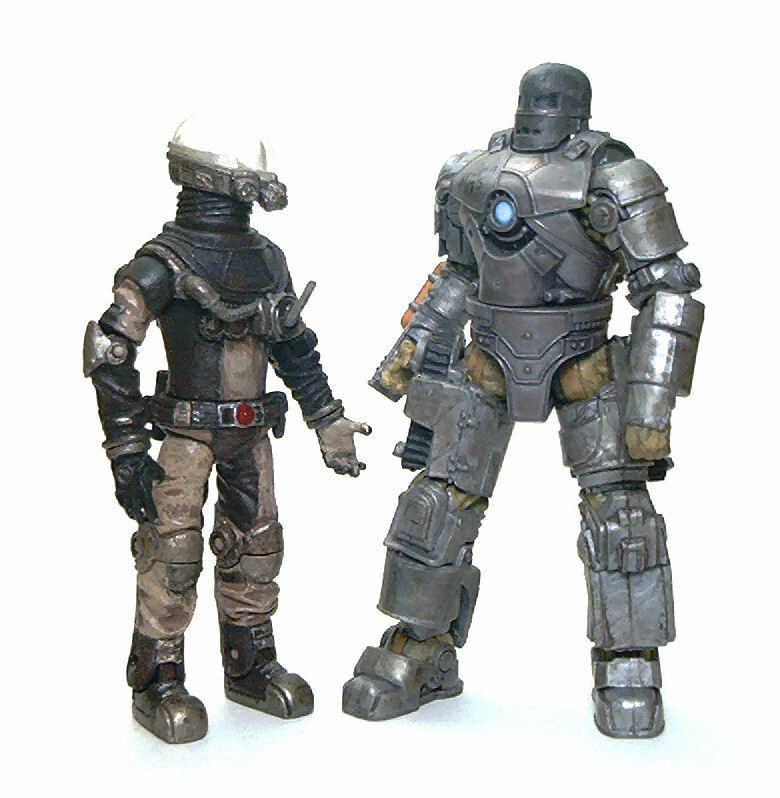 In the movie, the Mk.1 suit looks bulky, cumbersome and comparatively crude. And all of that is replicated admirably in this 4” 2/16 figure. Every rivet, welded plate, band and piston is captured perfectly in plastic down to the crumpled canvas undersuit that can be glimpsed at the exposed parts of the joints. The Mark.1 suit is molded out of a fairly dull, light gold-ish colored material, and given a fairly thorough rusty paint wash to accentuate the look of worn metal. A few key armor elements are block painted in black and tan for variety’s sake, but the overall finish is very uniform. The finer details on the Mark.1 are just a serial number stenciled over the right side of the chest and a decal for the reactor at it’s center. I must say that from all of the Iron Man 2 figures in stores, the Mark.1 is possibly the only one that doesn’t require you to spend more than a glance to pick a sample that looks perfect. • Ball jointed neck: Works as a rather limited swivel, although some subtle tilt is possible. • Peg & hinge shoulders: Excellent rotation on both, although the lateral range is only about 30°-40°. • Hinged elbows: These bend up to 50°-60°, and can’t really swivel when the joint is bent. • Swivel waist: Excellent range all around. • Ball jointed hips: The bulk of the upper tighs gets in the way a little, but surprisingly still manage to achieve sitting poses. • Peg & hinge knees: These bend close to 90° and can swivel 360°. • Peg & hinge ankles: Excellent bending range and full 360° swivel on both. The joints missing from that list are wrist joints, but I wouldn’t say I really miss them. In fact, even with the limited shoulder range, this articulation model works perfectly for this particular version of the Iron Man armor. 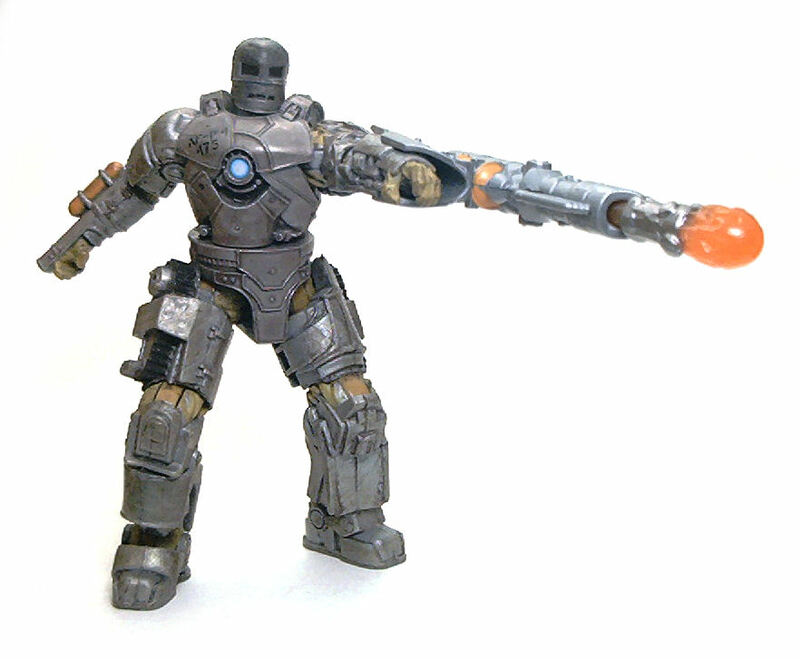 Iron Man Mk.1 comes with a projectile launcher that clips over either of his forearms, with the projectile molded out of translucent orange plastic to mimic the flamethrower attachment. Also included is a sculpted display base with a slot to hold the armor cards behind the figure. The armor cards are two clear acetate prints that are placed before a white backer card to produce a completed image of the Mk. 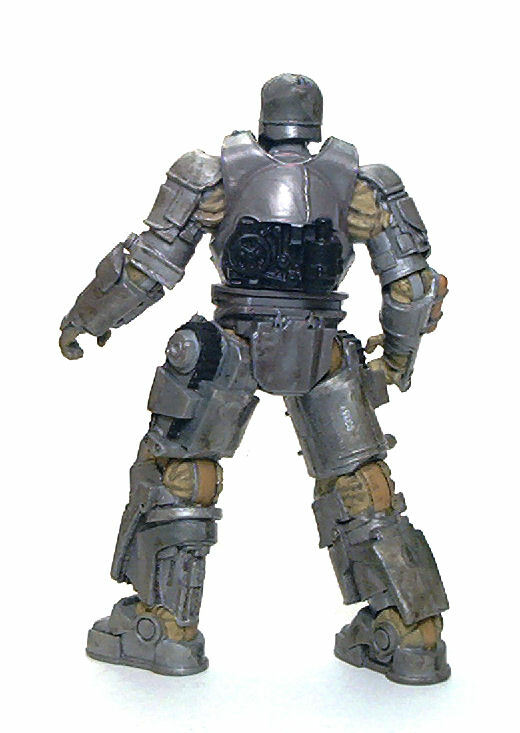 1 armored suit, and also display a set of stats that presumably are meant to be used with some sort of game mechanic in mind. 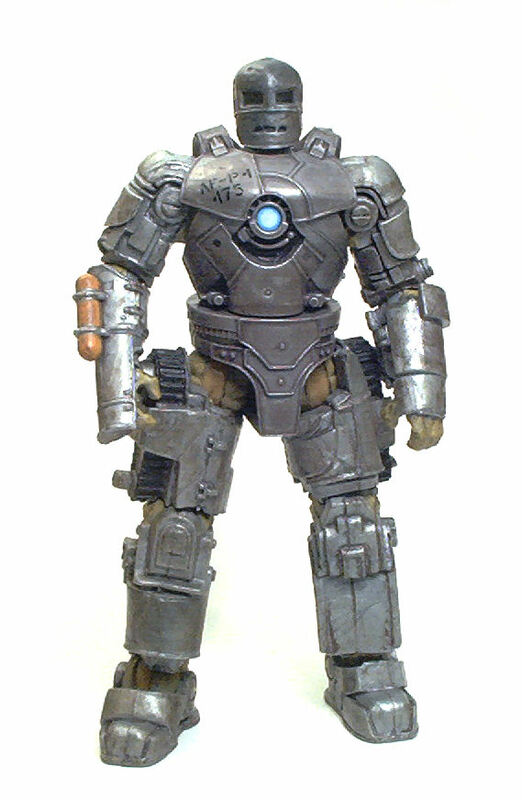 This version of the Iron Man Mark 1 figure turned out really well. The styling is visually more elaborate than that of the comic version, and the painted deco is nothing short of excellent. A great plus for me is that it’s just the type of figure that really can go along with more than a few lines of figures done in the same scale. 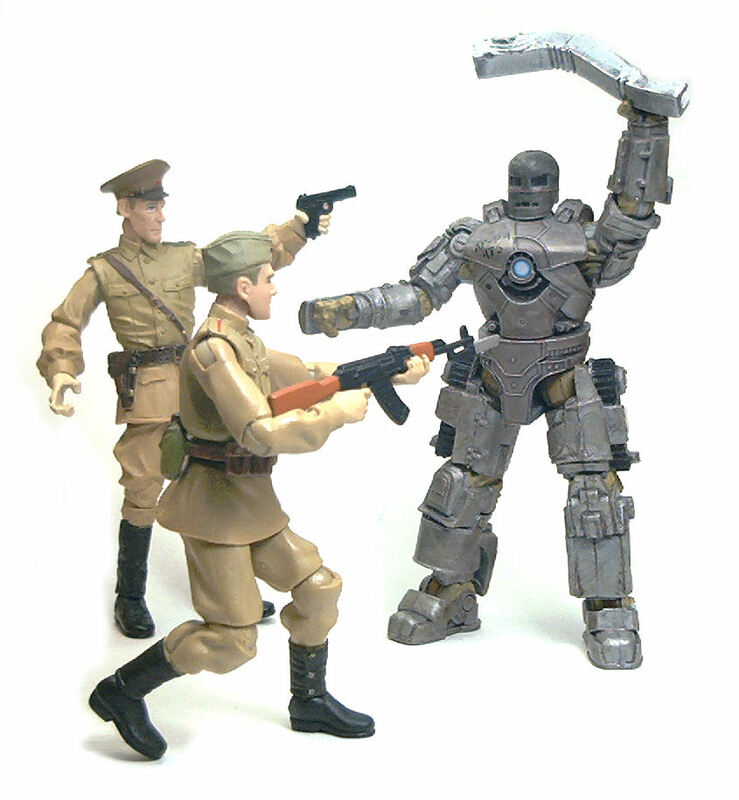 Another great review… what is the figure with the Mk 1 i the first pic? It looks like a spacesuit from the original Alien. I’m sure Errex will appreciate the kind words. 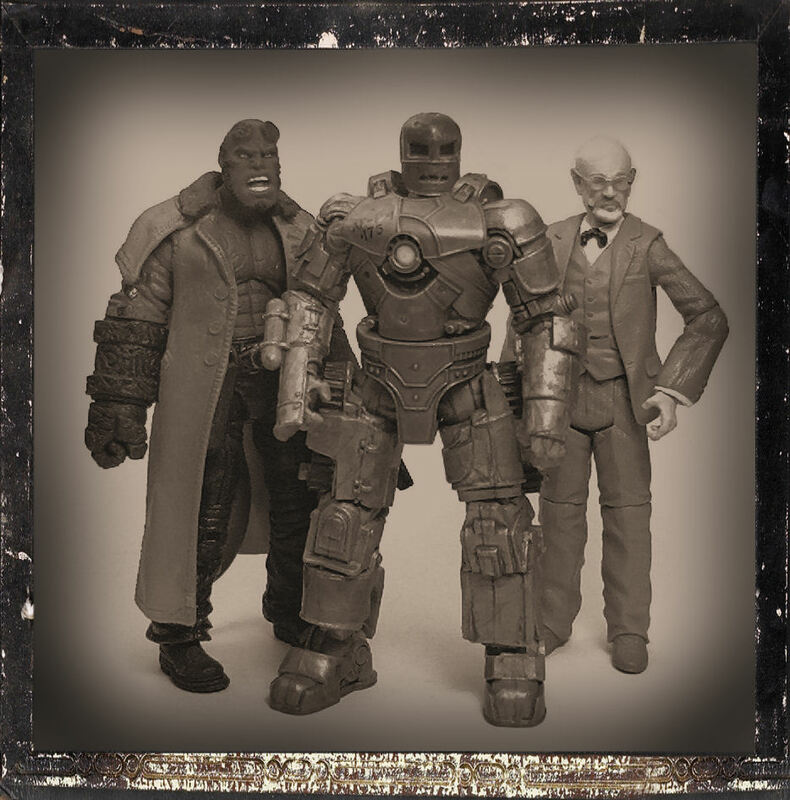 The figure is Krauss from Hellboy 2. 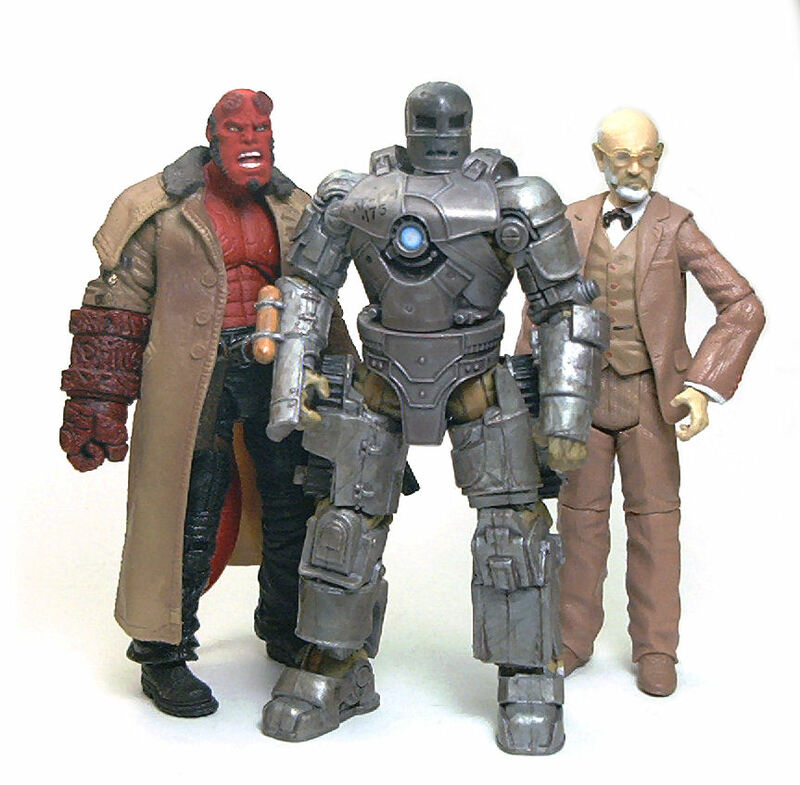 You can find a review of that figure under the Hellboy category in Reviews.